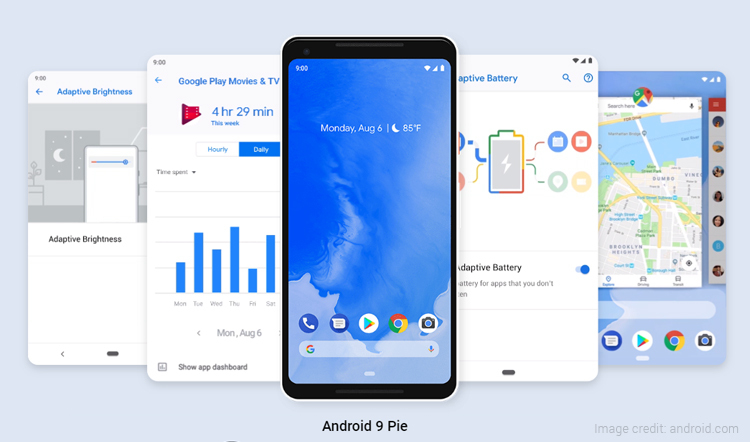 It’s been quite some time now since Google announced its new operating system called Android P. Recently, Google released the full version of the OS which is named Android Pie. While we were still getting used to Android Oreo on the latest smartphones on the Android phones price list, Google has presented us with the new OS. Android Pie promises a lot of new features and improvements making it easier to use. 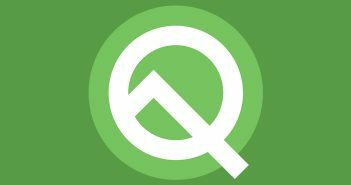 However, do you know everything that’s new and everything that has changed from Android Oreo to Android Pie? 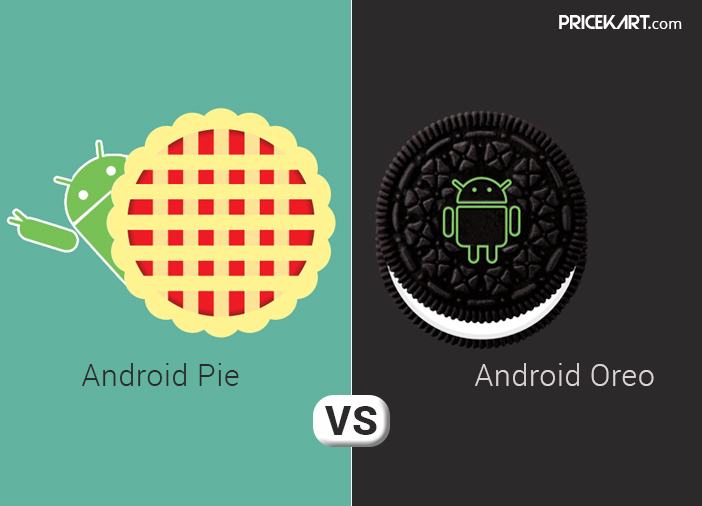 Here’s a look at everything that you need to know when it comes to Android Pie Vs Android Oreo. Up until Android Oreo, Google has pretty much stuck to its plain white screens, which gave the smartphones running on Stock Android a dull look. However, with Android Pie, Google has incorporated more colours into the design. The latest version of the OS features colourful icons, drop down quick settings and notification bar, which will give a more vibrant look to the phones that will run on the stock version of Android Pie. Additionally, the new OS has opted for rounded corner designs instead of the already existing square design. In Night Mode, the phone automatically reduces blue light in the display during bedtime. This feature has been seen on the latest mobile phones price list. However, Android Pie has improved this functionality. 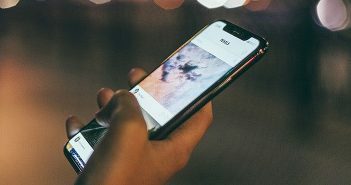 Along with the reduction of the blue light, the Wind Down feature will turn the display into the grey-scale and activate the Do Not Disturb Mode, which makes it convenient for smartphone users to fall asleep. How many times have we unlocked our phone to check notifications and ended up wasting hours scrolling through Instagram or Facebook? Well, to avoid this overuse of smartphones, Android Pie comes with Android Dashboard and App Timer. Android Dashboard will keep a check on your smartphone usage and will give you a breakdown of how much time you spend on each app in a day. Similarly, App Timer will restrict you from using a particular app after you have exceeded the set time limit. These two apps together will ensure that you do not get smartphone-addicted. Probably one of the best features that Google is introducing on Android Pie is adaptive battery and brightness. The brightness on the screen will automatically increase and decrease according to the surrounding light conditions and your preferred setting. Similarly, even the adaptive battery feature will automatically adjust the CPU usage to consume the minimum amount of battery. Google has focused a lot on smarter Artificial Intelligence for Android Pie. AI is going to analyze and understand a users usage patterns which will add a more personal touch. The AI functionality on the OS will predict the features you are looking for and display it on the top. In simple terms, based on your usage, the phone will predict what you might do next and offer you options to choose from. Google has a lot more to offer in terms of Android Pie, but these were some of the top most interesting features where Google Pie offers more than Google Oreo. 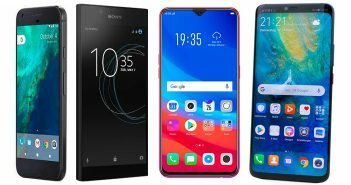 If you are currently looking for a new smartphone, you can take a look at the top 10 smartphones in India.